More than 90 percent of federal lands in the Western Mountain States region – Colorado, Montana, Nevada, New Mexico, North Dakota, Utah and Wyoming – has not been leased for oil and natural gas development, according to new research by EID. 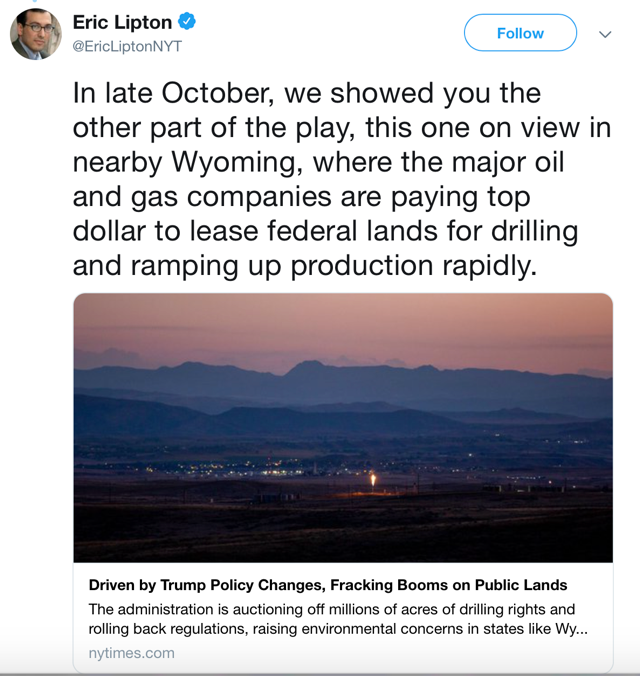 This contradicts a new article by New York Times reporters Eric Lipton and Hiroko Tabuchi that tries to further a narrative that energy companies are quickly ramping up development on federal lands in the West because of Trump administration policies. Lipton and Horiko reported on a similar premise in October, painting a picture of the administration working “hand in glove” with the energy industry to slash regulations and drastically increase oil and gas exploration on public lands. The problem, as EID’s latest infographic shows, is that the Times’ premise is false. As EID pointed out when that first article appeared in October, data from the Bureau of Land Management counters the Times’ account. In fact, there was more federal leasing and permitting during the Obama administration’s first term than there has been thus far in the Trump administration. 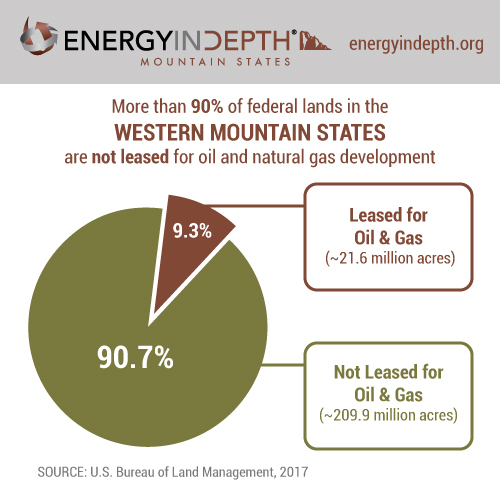 Still, the Times – and many environmental activists – continue to suggest that western public lands are overrun with drilling rigs. While the percentage of land leased for oil and gas varies from 1.1 percent in Nevada to 26.5 percent in Wyoming, the fact remains that the vast majority of federal western lands are free of any development at all. It’s worth noting that the leased acreage numbers for the Western Mountain States are conservative, because they only look at states where oil and natural gas is actively being produced. 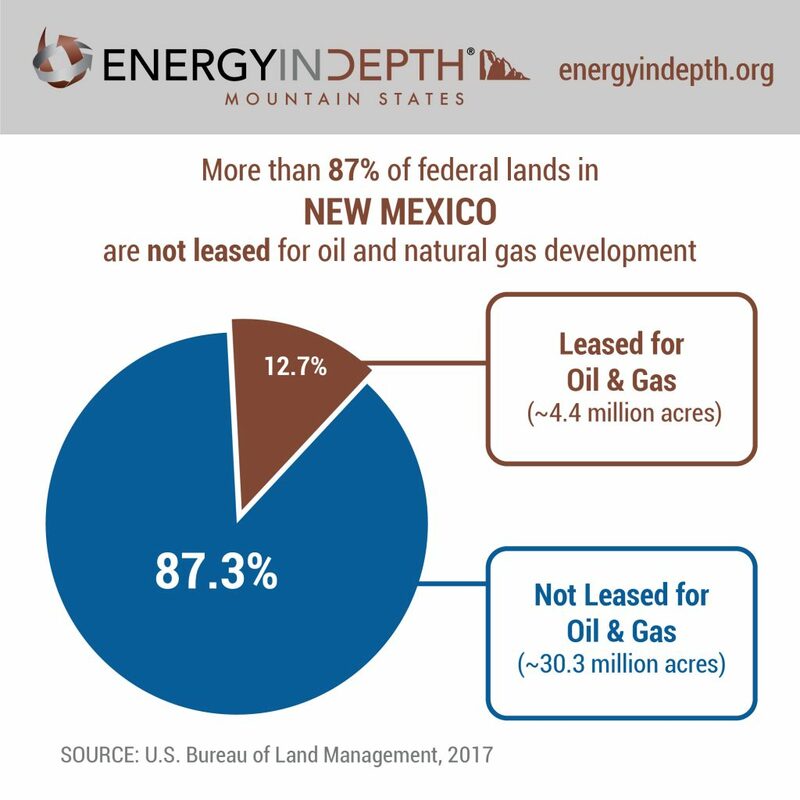 States with large tracts of federal lands, including Arizona and Idaho, were not included. Had these lands been incorporated, the percentage of leased acreage would be even smaller. Additionally, North Dakota was included due to the Bakken formation, which covers parts of Montana and North Dakota. 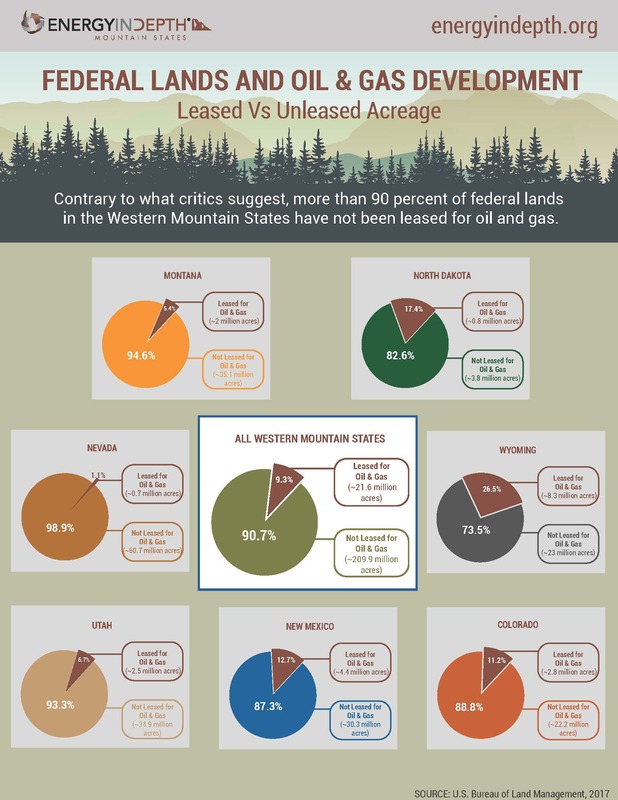 The percentage of leased acreage in North Dakota – which is not typically known as a “mountain state” – is higher than the overall average, which again demonstrates how the numbers in this infographic may actually overestimate the percentage of federal lands leased for oil and gas in the Mountain West.